2018 saw a change to the running order of the three days, with the opening day; City Day, serving as ‘trials day’ for both the Investec Derby and Investec Oaks. This new formula proved popular with racegoers and anticipation to witness another star of the flat season emerge at Chester is already building. Attentions will soon turn to declarations and early front runners, with odds on who will be crowned champion of the Roodee turf on day one. A new partner joins Chester Racecourse in 2019 as sponsor of both the prestigious Chester Cup and Chester Plate; SportPesa begin a new venture into horseracing by affiliating with the most valuable race in Chester’s season. The Group 2 Homeserve Huxley Stakes will complete an enthralling card of seven on the final emphatic day of the three-day extravaganza. Bringing Chester racedays to the masses in 2019 and beyond, a new partnership with Sky Sports Racing will see live racing action broadcast into the homes of Sky subscribers for the first time, whilst ITV return to cover the three days event with vigour for a third year. Innovative Chester have been working hard throughout the close season to bring a new and improved offering to the raceday experience, with a new hospitality facility; Parade with Aiden Byrne, launching one day one of the season. A new viewing platform will provide owners and trainers visiting Chester with an improved vantage point from which to watch their runners and ‘The Lawn’ will offer anyone accessing the Paddock side of the course with a new area from which to enjoy the Chester experience. “In a year in which we celebrate 480 years of racing at Chester, we are recognising both the rich heritage of our story, whilst continuing to push the boundaries of what we deliver for all who visit and watch us. 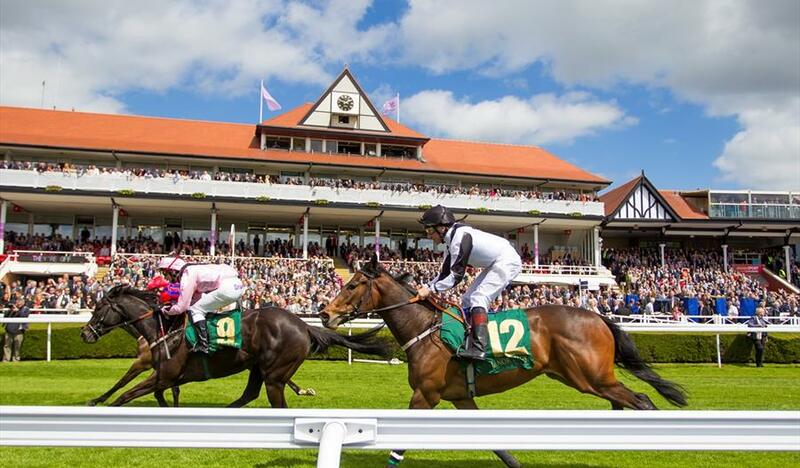 We want to lead the field when it comes to atmosphere, customer experience and facilities and our infrastructure developments and new broadcast partnership this year will ensure horsemen, racegoers and viewers alike will continue to experience the best of what a raceday at Chester can offer. View the NEW Chester Racecourse video here. The post Sights are now firmly set on the 2019 Boodles May Festival appeared first on Experience Chester.